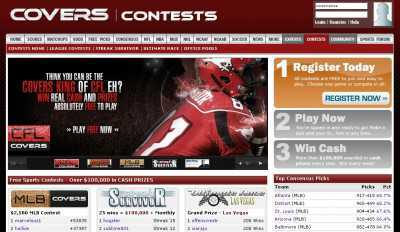 Formerly known as Wagerline, Contests & Covers is a website for sports bettors. 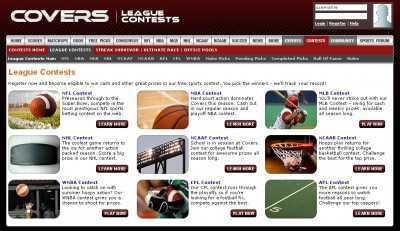 It includes scores, odds and complete match-up pages along with a forum where members of the community discuss sports from just every angle. The site lets sports fans talk about the latest signings, the best plays, the performance of coaches… just anything that could affect the outcome of a game in any way or the other can be openly discussed on Covers.com. And the site also includes the latest sports news on its homepage, so that its users don’t have to go looking for them from one site to the other. In fact, Covers.com even includes reviews and rakings of the best online sportsbooks, along with statistical breakdowns for individual umpires and referees. The idea is to bring together all the information that people could need before placing a bet with confidence. And once you have bet on any team, then you can follow the game right on the site. A “live chat” feature will let you discuss all the plays right as they’re happening. The site actually features all the latest consensus picks on the homepage, along with all these sports contests that you can play for free, and that would let you win meaty cash prices.